Moving in West Park, or any other Florida suburb, does not have to be a back breaking venture. Orange Movers have been serving Broward County for years with helping to solve the logistics of local moving. If you’re looking for a budget priced move without having to break your own back, then you won’t need to look further than Orange Movers. With our full service moving packages designed for homes of all sizes, relocating in West Park will seem like a child’s play. Wherever you are moving, there are two things you need. The first is a lot of energy that will help you through the moving process. Everyone knows it can be hard, it can be exhausting, and a thing of nightmares! However, by keeping your head up and planning everything up front, you will be able to bare through it. The second thing you will need is Orange Movers Miami. You need professional West Park movers because they can turn a stressful move into an easy task. In this article, find out why we are the best movers there are, as well as a little more about West Park itself. West Park (or the City of West Park – officially), is a municipality in Broward County in Florida. Here you can find the neighborhoods of Carver Ranches, Miami Gardens (Broward County), Utopia and Lake Forest. The name comes from its location – the city lies west of Pembroke Park town. Another important location is its neighboring county – the Miami-Dade County. Finally, at the 2010 census, the population of West Park was 14,156. West Park is pretty diverse and has a higher population than most other cities and towns in Florida. These simple steps can take from a couple of weeks up to a couple of months. Experts recommend you start looking for good movers around 90 days prior to the moving date. This way, you will have time to find the right moving company and figure out both the cost and the steps of your move. The first thing you will want to know is what local moving companies in Miami there actually are. There are a couple ways in which you can go about doing this. First, you can search for them online. The internet makes it so that you have all the information you need right at your fingertips – the only thing you need to learn is how to use it. You should also learn to figure out which information is good, and which you should not trust. Ask the people you trust about the West Park movers. A better, albeit tougher way, will be to ask the people you know. Your family, friends, colleges – anyone is fair game. You can ask them if they, or someone they know, has moved recently. 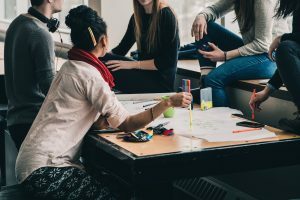 They might have stellar recommendations for you, or they might be able to tell you about a company you should steer away from. These are the people you can (hopefully) trust, so this is why here you save time you would waste on checking the information you get. After you have gathered a list of a couple of West Park Movers, you will want to screen them online. There are many websites that offer moving company reviews, but make sure you find the ones that are reliable. When looking into reviews, watch out for negative comments. If there is a trend appearing in all the reviews, maybe the moving company has a problem but it is unwilling to solve it. You should also be careful with only 5-star reviews. It is perfectly normal for a company that has been working for quite some time to have a couple of unsatisfied clients here and there. Remember, reviews can be manufactured. Take everything you read online with a grain of salt. Get an estimate of your costs. After you have thinned the list down to a couple of candidates, it is time to call them in for an estimate. First, take notice of how they talk to you on the phone. This attitude can tell you a lot about the way in which they treat their clients. Do not ever trust a moving company that wants to give an estimate over the phone or online. You need to arrange for an in-house estimate, and the company representative needs to come to look at your things. Also, pay attention to how professional the person who is doing an estimate is. Professional furniture movers will look thoroughly through your items. They will take everything into consideration, and might even need to look into your wardrobes and cupboards. You should use this time to ask the company representative any questions that you might have about the moving company. By the time the estimate is done, you should have a written estimate with you. You also need to have the company’s U.S. DOT number, the company’s full name, and address, as well as the company’s contact information. You can also ask for a couple of references to screen your company further. Make sure you call the references and ask them detailed questions about their experience. 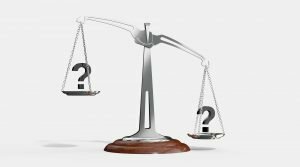 Questions such as “What were you satisfied with the least?” or “Did you have any negative experiences with the move?” are perfectly fine to ask. Finally, after all the estimates are done, it’s time to compare the bids you received and pick the right West Park movers for you. Be careful with the company whose bid is too low. Make a point of asking them about any hidden or unexpected costs. Also, make sure you examine the estimates they gave you. 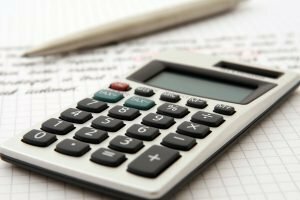 If it is a binding estimate, then the cost of the move cannot exceed the number on the form. However, if it is a non-binding estimate, then the company can charge you around 10% more than what they put on the paper. Compare the bids you have. Finally, don’t be afraid to negotiate with your West Park movers. Figure out the best time for both yourself and them, and ask them for a lower price. For example, most of the moves happen during summer, so moving during winter – when there’s less work for movers – might benefit you and them both. Finding the right company will make your move easy, so think carefully about this. Sit back and relax while we do the moving for you. No matter how big your house is, or how much stuff you have, our local moving plans can include complete packing of all your stuff. Beds are taken down, crates are loaded and your possessions put on the truck, only to have the process reversed at your new home. The logistics of a commercial relocation can be exhausting, especially when you’re trying to run your business at the same time. Full service commercial moving is our business, so let Orange Movers take over. Some homes or businesses have special needs, like larger items or invaluable treasures. Let us know about any out of the ordinary needs your local move has, and we will come up with a solution for it. Orange Movers is a premier residential and commercial moving company in Southern Florida and beyond, but we also provide a lot more than mere “hassle free moving”. We are also the providers of storage space, in a state of the art secure facility. When you don’t have the room to keep hanging onto your stuff, or just want a safer place to keep it, we will give you a great deal on a short or long term storage solution. We’ll even come and get your stuff for you, and keep it safe exactly the way you left it with us. Local Moves, Full Service and Free Stuff Oh My! Sign on with Orange Movers for your local relocation and you not only take advantage of no stress moving, you get free stuff too. We provide our customers with 10 free boxes to start you off along with the use of our storage center for a month. Not sure where you’re going to set up that pool table just yet, leave it with us until you make the room. Full service local moves at a great rate, and freebies thrown in too, makes Orange Movers your best choice in West Park. Before getting blinded by the seemingly low cost of do it yourself moving, put a price tag on your time. Now think about the strain on your back. Having professionals who respect your time and won’t let you hurt your back is an invaluable moving service. We provide all of our services at affordable rates, so that all of our customers are able to get the full service treatment they deserve. Compare the costs, but don’t forget to add a surcharge for your time and energy. With lots of our customers coming from referrals and repeat business, you know that you can trust Orange Movers with your valuable belongings. We take the word of our clients very seriously and are extremely proud of our success rates. Trust in the local moving company that your friends and family are trusting in, and you will see why so many can’t stop raving about us. Exceptional service and affordable rates, call Orange Movers to find out more. 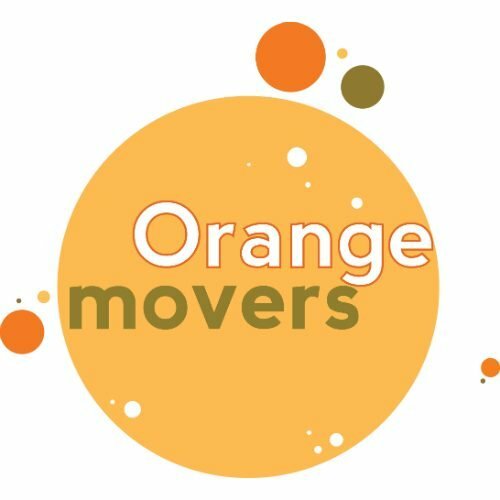 Orange Movers wants you to have money left over to make your new house feel like your home. That’s why we offer local moving plans at incredible rates, that don’t put a damper on your design plans. Call us today and discover our range of moving options that can be customized to meet your move and your budget.